In this step of PRITCHETT's methodology, integration team members learn a proven acquisition integration methodology so they can produce excellent results ... repeatedly. An unprepared or overconfident acquirer can get lucky and succeed at one merger the same way a bad poker player will sometimes win a hand. It takes more than good fortune to successfully integrate target companies time after time. That kind of consistency requires a replicable, scalable methodology just like the proven one taught in the Merger Integration Certification Workshop. 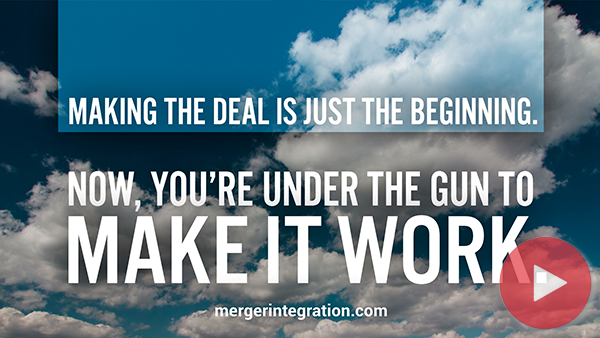 While it is true every deal is different, the underlying processes (i.e. prioritization, scope change, culture change, risk management, communication, synergy program management and reporting) required for success are the same from one integration to the next. 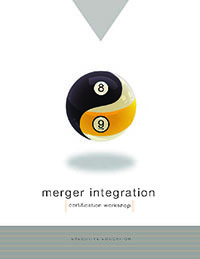 PRITCHETT’s 5-day Merger Integration Certification Workshop focuses on these common processes and teaches an approach that has been used successfully on thousands of deals. Which is more important, project or people management? Can HR overcome the Rodney Dangerfield problem? Acquirers play a dangerous game when they take a “learn as you go” approach to their integrations. There is simply too much at risk. Learn what you really know about merger management. Take our Merger IQ exam. The answers to the test are based on PRITCHETT's three decades of acquisition integration experience. Webinar reveals guidelines that will improve your employability during a merger. Talent retention, productivity, and psychological readiness in acquired organizations. Educate the workforce about the steps of a merger. Uncertainty triggers problems even before the integration begins. Give yourself focus and direction. Solid rationale for employee M&A education. Six guidelines on how leaders in acquired organizations can best manage the situation. Guidelines on how to best adapt to changing circumstances. Avoid basic mistakes that create job stress. In mergers, managers often have to wing it. Get invested in your work. Speech delivered by top executive in Fortune 10 Company. How to best run your career in a divestiture. Hold back your judgment on it. Tips for employees in soon-to-be acquired companies. 90% of managers are unprepared for M&A. The integration will run smoother if these needs are met.